With sunshine and warmer temperatures on the horizon, we are scheduling our last few work days to complete the renovation of the Kathy O’Reilly Memorial Garden! Get Involved! Kathy O’Reilly served MSH for over 23 years as a lead teacher, board member, and the head of school. She is fondly remembered for her generosity of spirit, delight in working with children, and abiding compassion for those in need. 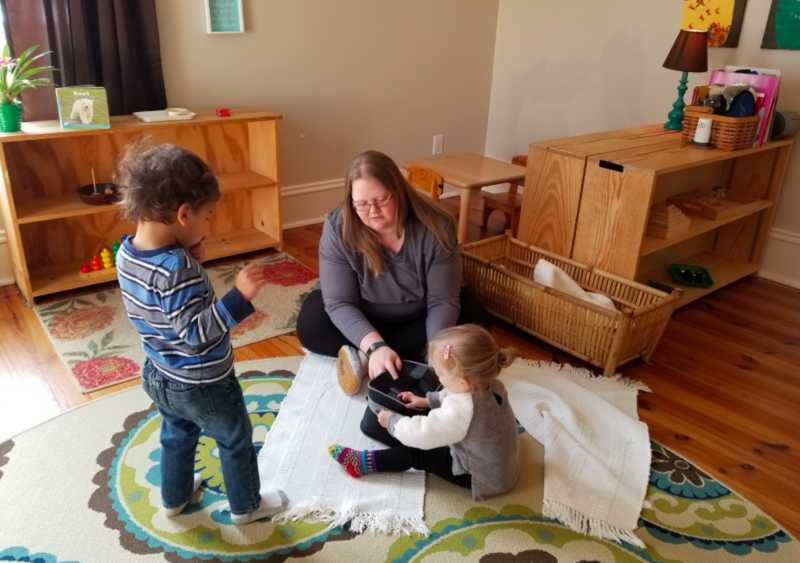 The Kathy O’Reilly Memorial Scholarship Fund, dedicated in her honor, provides the opportunity for children from families with limited resources to receive a Montessori education. In 2010, a memorial garden was installed in front of our Huntsville campus. The garden consisted of several rose bushes surrounding a single crepe myrtle. While it was a beautiful feature on our campus, members of our school community wanted to re-design the garden so that children could participate in caring for the garden and apply Montessori principles of sensory exploration, practical life, and building inner peace. In 2017, we consulted with Kathy’s daughter, Rachel, to discuss a new vision for the garden. Architect and designer John Vons, Master Gardener Nareatha Studdard, and Renaissance Man Thomas Grey joined the team, working with Rachel to design a space that honored the qualities that brought so much joy to children and families at our school for over two decades. 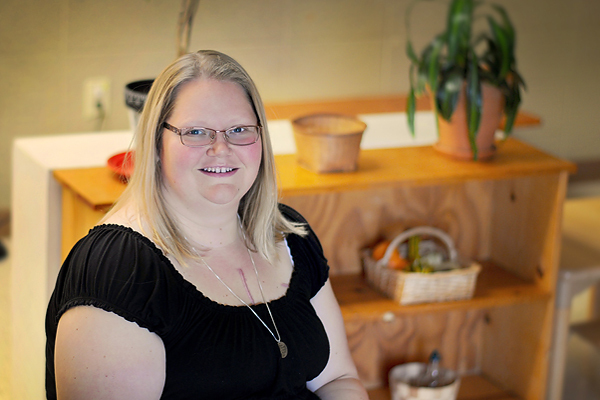 Kathy was deeply passionate about peace education and sharing her love of cooking with children. 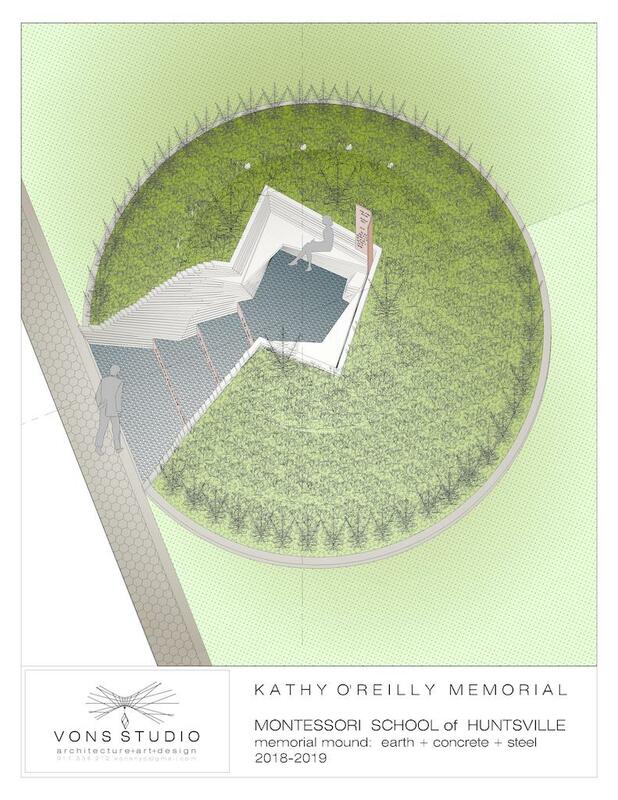 With this in mind, the memorial garden took the shape of a beautiful mound covered in sempervivum succulents. The mound will rise nearly three feet in the center, with a river rock path cutting through to a sitting area with a meditation bench and windchimes. Fragrant herbs will be planted around the garden for use in flower arranging, sensory activities, and cooking lessons. We are thankful to the Jane R. Parks Foundation, the Alabama Bicentennial Commission, Cawaco RC&D, Home Depot, Terrell Blue, Leela Pahl and Tyler Brown for granting funds and in-kind donations to support this project and for countless volunteers who have spent their afternoons and weekends in service to our vision. Ms. Lacey is a Lead Infant and Toddler Guide at MSH. Lacey received her Montessori credential from the Greater Cincinnati Center for Montessori Education. 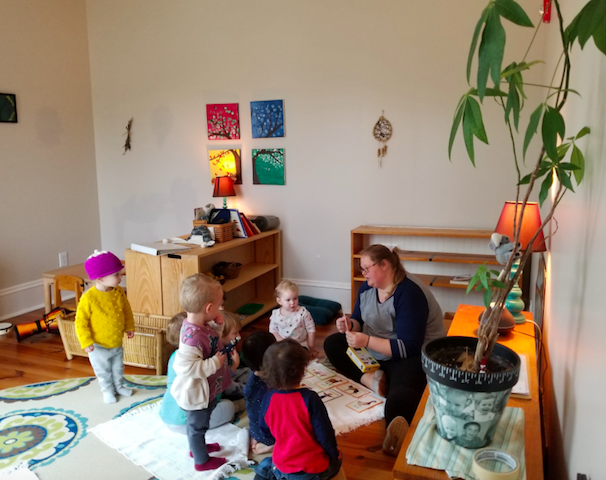 In addition to leading in the toddler classroom, Lacey guides infants and their caregivers in our Montessori Mornings program. Q: How long have you been at MSH? So, long. I started the beginning of February 2006, so 13 years. Knowing that I have these tiny people I get to spend my day with. I get the gift of watching them become some of the most amazing people. Q: What appeals to you most about working with infants and toddlers? There is something so magical about infants and toddlers. They are so pure, honest with every emotion. They have the most genuine expressions because they have not yet learned how society expects them to feel, they just express freely. They share joy, sadness, love, frustration, all while learning who they are in this big world around them. Also, witnessing a child move from the unconscious absorbent mind into the conscious absorbent mind is fascinating. Learn more about the absorbent mind and the child. 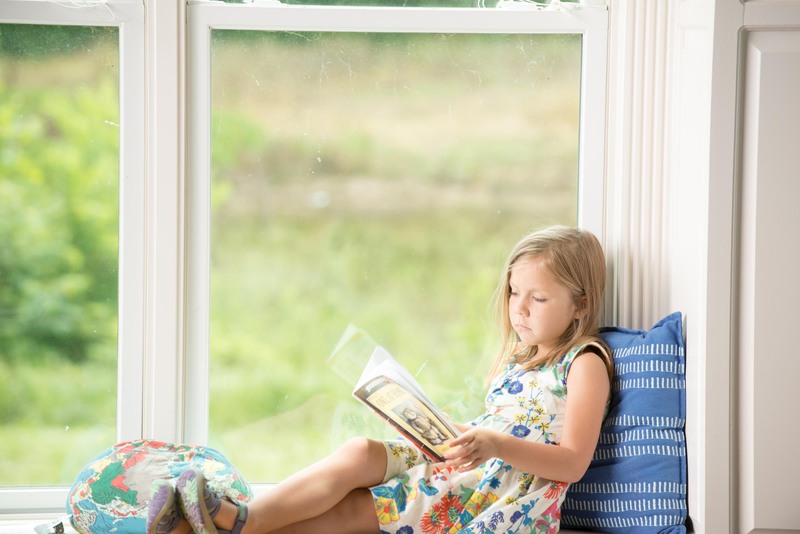 Q: If you had to choose one, what is your favorite Montessori quote? Q: Given a chance, who would you like to be for a day? I would love to be a Toddler, in my environment. I would love to truly feel what it is like to be in our space as one of them. Imagine how much more we could learn if we saw through their eyes and in the thoughts of the Infant or Toddler. Q: What advice do you have for parents just beginning their Montessori journey with their child? Trust your child. Follow your child. Observe your child and their daily environments. Allow time and room for ‘mistakes’ or messes. They are ok; they are how children and people learn. I would LOVE to see Montessori becoming the mainstream and norm for public education. I know it would take so much work, but with the changing times and such progressive thinking about education and respect for children, it could happen. 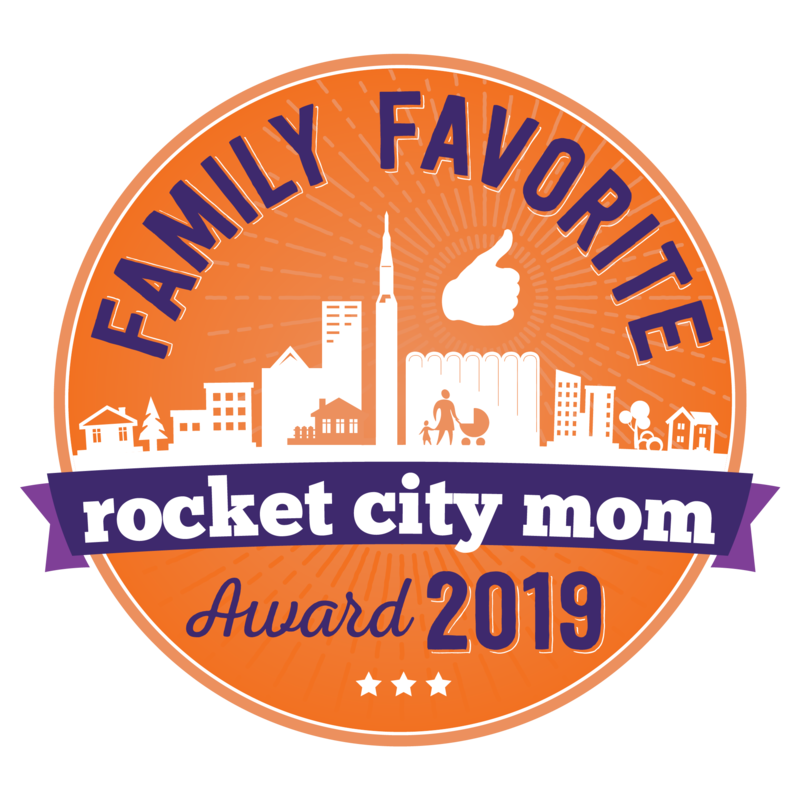 March 14, 2019 9:54 pm | Category: Alumni, General, Toddler | Comments Off on Spotlight on Ms. Lacey! I hope you had a restful and joyful holiday this Thanksgiving. This time of year, I can’t help but be filled with gratitude for you, our Montessori Community. Gratitude to our current families. Thank you for choosing MSH as partners in your child’s education. Thank you to our volunteers supporting our classrooms, strategic planning, and campus beautification. Our mission to instill a lifelong love of learning wouldn’t be possible without you. Thank you. Deep gratitude to our donors. 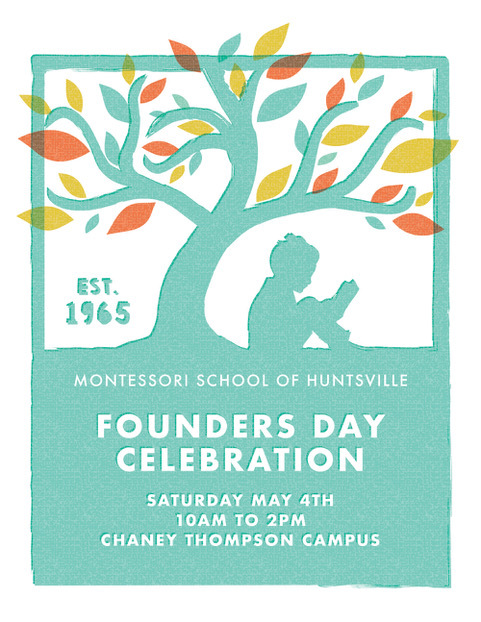 Alumni and current families who accept the call to sponsor Montessori strategic growth and sharing a vision of Montessori for every child. Thank you for your financial sacrifice. Finally, thank you to our teachers and administration. You wow us with your devotion to Montessori and our children on a daily basis. Thank you for your sacrifices and professional dedication. Join our community of generous donors. November 22, 2018 11:01 pm | Category: Alumni, Elementary, General, Latest Posts, Primary, Toddler | Comments Off on Happy Thanksgiving!